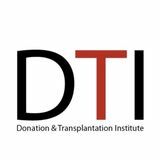 DTI Foundation is a non-profit foundation formed by a group of recognized international experts in donation and transplantation. DTI Foundation offers consultancy and training for the implementation of courses and projects in the field of donation and transplantation of organs, tissues and cells. Through our education program TPMÂŽ, more than 13.000 healthcare professionals from 100 countries have been trained since 1991. Furthermore, DTI Foundation cooperates at international level with the SEUSA program, which represents the best of 3 models of donation efficient systems of organs, tissues and cells for transplantation. Our mission is to advise and support international public and private entities involved in the health care system to design, develop and strengthen networks, programs, services and/or research projects in the field of donation and transplantation of organs, tissues and cells. Our commitment is to raise organ donation rates worldwide, to avoid trade and organ trafficking, to improve the quality of life of the society and to support regenerative medicine. This report contains a summary of the most important activities held in 2016. TPM TRAINING DTI Foundation considers that training of healthcare professionals involved in the donation and transplantation field has proven to be of extreme importance for the improvement and increase of organ donation and transplantation activity worldwide. «A very informative training program. As a student attending it was very accommodative and interactive. [...] Looking forward to next refresher program.» Intermediate Training Course, Trinidad & Tobago. TPM TRAINING During 2016, TPM has implemented 23 courses in advanced, intermediate and workshop modalities. The delegations settled in Italy, Croatia and Slovenia have continued their activity. Additionally, several Workshops on Donation after Circulatory Death have been organized in Cardiff (UK), Kaunas (Lithuania) and Amman (Jordan). Barcelona. 26th Advanced International Training Course (Spanish edition). Port of Spain, Trinidad & Tobago. 2nd Intermediate Course. Kobe, Japan. Organ Donation Workshop. Split, Croatia. 3rd Intermediate Course. Ljubljana, Slovenia. 5th Intermediate Course. A three-year National Training program for the healthcare professionals from different regions in China has been established. The first course of this program was held in Wuhan, followed by 100 participants. Additionally to the Training Course, expertise advisory from the DTI experts was offered to the Yichang Central Hospital. Dr. Assumpta Ricart, Dr. María Paula Gómez and Dr. Omid Ghobadi visited the Emergency Department and the Intensive Care Unit of this hospital and offered their recommendations to improve the organ procurement process. The collaboration between DTI Foundation and China is an ongoing process reaching each year excellent results. During 2016, a Collaboration project initiated between the 303 Hospital of Chinese People’s Liberation Army, Nanning and DTI Foundation. This project sets the basis for a threeyear cooperation, including training and consultancy services, as well as several visits of Chinese experts to Spain. The Agreement for this cooperation was signed by the respective parties in Barcelona. The ceremony was attended also by the Chinese consul and viceconsul. 1st International Training Course in TPM. Wuhan. 2nd International Training Course in TPM. Hangzhou. Prior to the Intermediate Training Course in TPM in July, the team of experts, Dr. Martí Manyalich, Dr. Amado Andrés, Dr. David Paredes and Dr. Mario Chico visited the Wuzhou Gongren Hospital and Tengxian People’s Hospital. During these visits, the identification process of potential donors and the difficulties the professionals in the region experience to transform any potential donor into an effective donor were observed. Signing ceremony of the agreement between the 303 Hospital of Chinese People’s Liberation Army (Nanning) and DTI Foundation. Nanning. The 1st edition of the Intermediate Training Course in TPM. Nanning. The 1st Advanced Training Course in TPM, organized by the First People’s Hospital of Kunming and DTI Foundation was held in the city of Kunming. Prior to this course, two Intermediate Courses in TPM were prepared successfully in 2014 and 2015. To date, a total of 140 participants have been trained in Kunming. The 1st Advanced Training Course in TPM. Kunming. Within the framework of the collaboration programs between DTI Foundation and the China Organ Transplantation Development Foundation, different groups of health care professionals came to Spain for a week of Training Visit. The aim of these visits is to offer to the Chinese doctors firsthand information of the everyday practice of the donation and transplantation programs in the Spanish hospitals in Barcelona and Madrid, and moreover to understand the organizational aspects of the system by visiting Catalan Transplant Organization (OCATT) and National Organization of Transplantation (ONT). This year we received two delegations; the first one in January and the second one in November. The aim of these visits is to offer the possibility to have information of the everyday practice. A round table was held in collaboration with the Cervantes Institute, the Spanish Embassy and Consulate, with the title “The Spanish donation and transplantation model: Good practices and cooperation perspectives with the PRC”, aiming at highlighting the Spanish donation and transplantation model as is being exported in China, thanks to DTI Foundation, currently leading several cooperation projects. The event counted on the presence of the authorities, like Professor Huang Jiefu, President of the China Organ Transplantation Development Foundation, Professor Ye Qifa, President of the Organ Procurement and Allocation Committee of the Chinese Hospital Organization. The round table was attended by a large public, and received an important media coverage. (Left and bottom left) Two diferents groups granted by The China Organ Transplantation Development Foundation. Professor Huang Jiefu and Professor Ye Qifa in round table with Dr. Martí Manyalich. Beijing. 2016 CONGRESSES DTI experts have attended several congresses during 2016 in order to keep updated about new tendencies in the field and share our projects and results. 5th International Congress of Nephrology. Dr. Puig and Dr. Sanchez Miret at the Nephrology Congress. Dr. Manyalich and Dr. Paredes at the SET Congress. Ms. Istrate at the EATB Congress. Hannover, Germany. Dr. Manyalich, Dr. Kondo and some colleagues at the TTS Congress. The Master in Clinical Research (60 ECTS) is an official Master of the University of Barcelona that offers eight different modalities including the specialty of donation and transplantation of organs, tissues and cells. This master is addressed to students who want to follow a PhD program in this field. It is designed to provide students with the scientific knowledge and skills in all the aspects of the donation and transplantation process. In both programs, participants will have the opportunity to learn and to exchange knowledge with their colleagues, experts, tutors of the centres in where their intership will be performed. The 2015-16 edition of the professional pathway ended with 14 participants from 10 different countries and the research master had 12 participants from 7 countries: In this new edition, there are 26 participants from 20 countries in the professional pathway and 20 participants from 9 countries. TPM-DTI also offers the possibility to obtain 4 postgraduate programs, each worth 15 ECTS. Each Postgraduate program consists on a TPM Module and 2 weeks of hospital internship in Donation & Transplantation in associated centres in Spain, USA and other countries. The TPM educational offer has been designed to facilitate any TPM student to follow an academic curriculum that may end up with the Master degree. To obtain the International Master in Donation and Transplantation of Organs, Tissues and Cells the student must take three postgraduate programs plus a Final Master Dissertation. You can find more information about the Master and postgraduate programs in www.tpm-master.org. The program includes on-line training and face-to-face training with practical simulations. Six years of collaboration to improve the donation and transplantation program in Trinidad and Tobago and six years of great cooperation with the REPSOL Foundation. Since 2010 DTI Foundation, supported by REPSOL Foundation is collaborating with the health authorities of Trinidad and Tobago, the National Organ Transplant Unit (NOTU) and the Pan American Health Organization (PAHO) to strengthen the Organ Donation and Transplantation program in the country. Trinidad & Tobago. Meeting at he MOH with Repsol, NOTU & PAHO. Trustful for a great impact, the activities within this project, mainly the continuous trainings of the professionals, will have in the future of donation and transplantation program we will keep working to increase the number of the transplants, thus to save and improve the lives of the Trinidad and Tobago citizens. Workshop in Trinidad & Tobago. Simulation of Brain Death Diagnosis. Seminar in Trinidad & Tobago. We will keep working to increase the number of transplants, thus to save and improve their lives. Lithuania. Visit at Kauno Klinikos Hospital. In Ireland, additionally to the TPM course, the experts of DTI Foundation had the opportunity to share their experience and engage in discussions with the health care professionals of several hospitals situated in Dublin and Galway. Meetings within the units of Emergency, Intensive Care and as well meetings with the regional transplant coordinators were held and recommendations for improvements were defined. Ireland. Visit at the ICU department of Mater hospital, Dublin. This year DTI foundation, University of Barcelona and Southern Philippines Medical Center â&#x20AC;&#x201C; Kidney Transplant Unitâ&#x20AC;&#x2122;s (SPMC) entered in partnership under the framework of the ISN-TTS Sister Transplant Center Program (STC). Through this partnership, the experts from DTI Foundation and University of Barcelona offer support to the SPMCP in order strengthen the deceased donor program. Philipines. Discussions during the Advanced TPM training course for current collaborations. DTI Foundation is involved in a cooperation project with the Saint Paul’s Hospital in Addis Ababa with the aim to design the methodology for building a sustainable and efficient deceased donation program in Ethiopia. Within this project, DTI Foundation will offer knowledge, experience and training to the Ethiopian health care professionals in establishing the deceased organ donation program. Visits at the St Paul’s hospital and Addis Ababa Trauma and Burn Center (AABeT) were made during 2016 and as well three health care professionals participated in the Advanced Transplant Procurement Management course in Barcelona and stayed for two weeks’ internship at the Hospital Clinic of Barcelona and at the Hospital Doctor Josep Trueta in Girona. DTI Foundation continuously works to build Organ Donation and Transplantation Systems, efficient, effective, rigorous and adapted to the requirements, needs and demands of the centers, countries or regions worldwide. Ethiopia. Visit ICU department of the AaBET Center. Ethiopia. Summary meeting at Hospital Clinic of Barcelona. EMPODaT project. (From top to bottom) Interview with the media / Working with the students / Final meeting / Training the trainers. EMPODaT (2014-2016), the European-Mediterranean Postgraduate Program on Organ Donation and Transplantation, was a TEMPUS product that sought to modernize the higher education in Organ Donation and Transplantation in Egypt, Lebanon and Morocco in accordance with the European Space for Higher Education guidelines. Experts from France, Germany, Spain and Sweden worked together to pool their expertise in this new academic discipline. A total of 13 local tutors from Egypt, Lebanon and Morocco were trained. Based on a diagnosis study, the Postgraduate Training Program for Specialists in Organ Donation and Transplantation was developed, in compliance with the EU standards and the ECTS system of diploma recognition (total number of study hours: 750 that amount to 30 ECTS). It included e-learning training, local seminars, practical hospital traineeships and international assessment seminars both in English and in French. Out of the 90 students enrolled, 73 approved successfully (35 were males and 38 were females). The program was very well received by students. The University of Cairo accredited the program as a â&#x20AC;&#x153;Professional Training Programâ&#x20AC;? and delivers it annually through the Medical Learning Centre together with the Faculty of Medicine, and in collaboration with DTI, Barcelona. You can find more information about EMPODaT in www.empodat.eu. Eudonorgan is a project awarded by the European Commission on the initiative of the European Parliament. It was launched in September 2016 and the main aim is to develop and implement two types of activities at EU level, focusing on training and improving social awareness to enhance the positive attitude towards organ, tissue and cell donation, and ultimately help improving donation rates. The project will extend its actions to a total of approximately 400 participants from the EU and neighbouring countries including healthcare professionals and other relevant actors able to promote and encourage effective donation. Eudonorgan. Inception meeting with the European Commission. Seeding Life (2016-2017), Erasmus+ project, is a two-level training initiative currently in progress, that aims to improve professional competences, knowledge and skills in organ donation and transplantation in Bulgaria and Latvia. The project boosts best practice exchange between Spain, as one of the best models worldwide in organ donation, and two Eastern European countries with similar experience in the field (Bulgaria and Latvia). The training program considers a blended learning methodology (online and face to face). It addresses healthcare professionals involved in the organ donation process and will certify them as trainers in the field. The future trainers will have the responsibility to organize a minimum of 15 national seminars in Bulgaria and Latvia by the end of the project. Seminars will gather total of 375 healthcare professionals in both countries. (Top) Seeding Life. Explaining the training methodology. (Bottom) Seeding Life. Kick-off meeting. KETLOD The KeTLOD project “Knowledge transfer and leadership in Organ Donation” from Europe to China is co-funded by the Erasmus+ Programme of the European Union. The project initiated in October 2016 and will last for two years, will facilitate the design of a postgraduate program in organ donation field, for the Chinese health care professionals’ customized to their needs. Knowledge has no borders. Here we go towards the country of Chinese dragons and plum blossoms. The project is implemented in crucial universities from China: • Shanghai Jiao Tong University (SJTU) – Renji Hospital • Hospital Capital Medical University (CCMU) • Kunming University (KU) • Wuhan University (WHU) • Second Military Medical University Shanghai (SMMU) • Nanchang University (UN) • Guangxi University of Chinese Medicine (GUCM) – Transplant institute of medicine Nanning • Shenzhen XinGeRuiLa Culture Communication Co. Ltd. (XGRL). And five European partners are participating in it: • University of Barcelona (UB), Spain —Coordinator, • Donation and Transplantation Institute (DTI), Spain • Dinamia S. COOP. MAD (DINAMIA), Spain • The University of Nice - Sophia Antipolis (UNS), France • Alma Mater Studiorum - Universita di Bologna (UNIBO), Italy. This program will be a new subject on health discipline curricula in China following the European ECTS system in Organ Donation field. The consortium will create a knowledge society foreseen as a starting point of further collaboration between China and Europe in the area of education, training, health (more concretely organ donation) and culture exchange. ERASMUS+ The stay of the two participants of Erasmus+ Program 2016 —European Voluntary Service— in our DTI Foundation finished in December 17th, 2016. Both volunteers, from the Russian Federation and Montenegro respectively, developed during nine months a project on “Training in Organ and Tissue Donation”. The result has been fully satisfactory for the Foundation and for both participants. We are waiting for the processing of the report to close definitely the project. In 2016 the Transplant Procurement Management (TPM) Project, the Educational Program of DTI Foundation, reached 25 years. This 25th anniversary was celebrated along one week with three main social and academic events. On November the 10th the musical group ”Por fin Viernes” played for a Charity Concert for Organ Donation. More than 200 persons attended the concert. The following event was the gala dinner held on November the 13th. Were invited all the experts and members of our TPM international community and approximately 100 of them joined the dinner. This 25th anniversary culminated with a glamorous academic event that took place in the Aula Magna on November 14th of the central building of the University of Barcelona. The opening ceremony was led by the acting rector of this University Dr. Jordi Alberch together with Dr. Eduardo Martín responsible of the Education Programs at the National Transplant Organization (ONT), Dr. Jaume Tort, Director of The Catalan Transplant Organization (OCATT), Dr. Marti Manyalich Director of the TPM project, and Dr. Ricard Valero Academic Director of the TPM project. Following the ceremony, a throwback video with the most important moments of the lifetime of TPM was showed with congratulatory speeches from Dr. José Mª Domínguez and Mrs. Susan Gunderson as well as greetings from TPM friends and collaborators who did not attend the ceremony. In all the messages were highlighted the impact of the TPM trainings in increasing the donation rates in their respective countries. Afterwards, the “DTI Community” project was introduced a future program where our Foundation whishes to join together the 13.000 professionals from 100 countries that have been trained up to date to promote the community for the forthcoming professionals. Finally a round table led by Dr. Assumpta Ricart from Hospital Vall d’Hebron in Barcelona, took place with open discussions on the TPM role and the figure of the Transplant Coordinator, a very nice social event closed the celebration. Pictures of the social event that closed the TPM 25th anniversary celebration. Barcelona. 13%* Growth in NEW STUDENTS *Academic year 2016-17 Masterâ&#x20AC;&#x2122;s degree students not included. Thanks to our staff, pool of experts and over 30 volunteers/interns who have worked in the Foundation, we have contributed to offering a second chance to millions of patients on a waiting list for a transplant in the world. www.irodat.org IRODaT is a project promoted by DTI Foundation. IRODaT is the International Registry of organ donation and transplantation. Is a database that facilitates information for the donation and transplantation activities from every country. IRODaT collects and provides information and figures on organ donation and transplantation world-wide since 1998. IRODaT statistics come from official sources. All data is freely accessible. The professionals involved are members of national transplant organitzations and ministries of health. If you believe you can contribuite with information, please contact us.